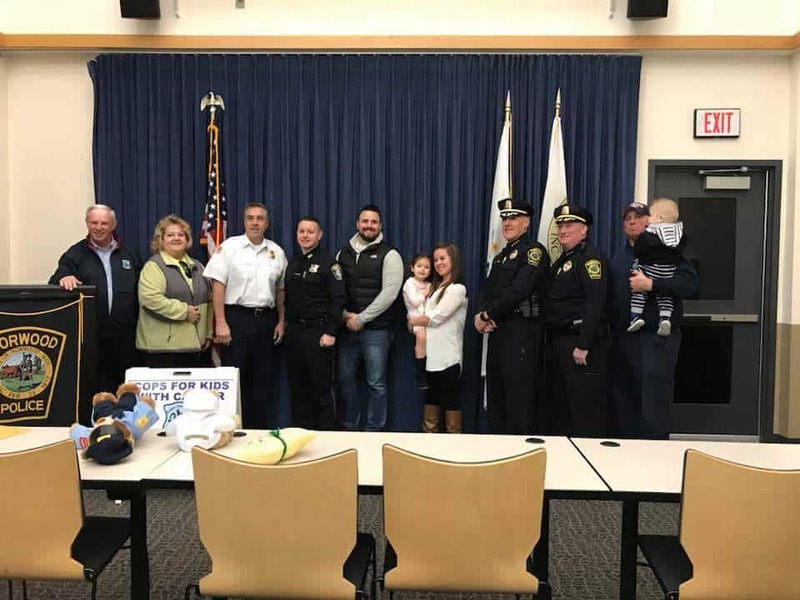 On 12/11/17 Mike Weir and Maura Flynn of CFKWC, went to Norwood Police Department and made a donation to the family of Gabriel Atton 3yrs. Photo L-R Mike Weir, Maura Flynn, Chief Tony Greeley NFD, Officer Tom Bent of Boston Police Dept., Gabriel’s parents,Mike and Kerri, Chief Bill Brooks and Deputy Chief Peter Kelly of NPD, Firefighter Andy Quinn of Norwood Fire Department. We would like to Thank all the men and women of the Norwood Police and Fire Departments for their assistance and support.